Congratulations to Meghan Sponenberg for receiving October’s Athlete of the Month honors!! Meghan has been training with MTS since August 2013. In the last 6 months she has really committed herself to balancing a healthy lifestyle while being an All Star mom! 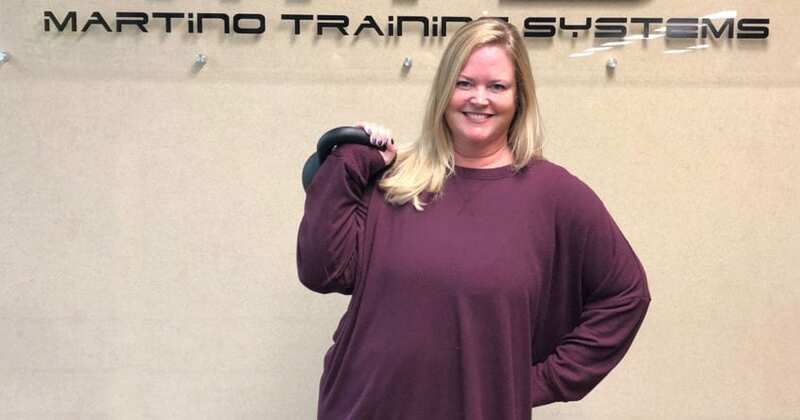 We believe it’s her commitment to getting the work done in the gym and dietary changes that have attributed to her steady weight loss. Sticking with the program and allowing herself some hiccups along the way has allowed her to have the state of mind to not stop striving for her ultimate goal!! Not to mention her supportive husband Dr. Steven Sponenberg and friend circle that are always there for her. Keep it up Meghan, and we can’t wait to help you with your future success!! I usually like Wednesday workouts – usually more cardio those days. The energy at MTS is very positive from the trainers to the clients – everyone is there to work, but have fun too. I also appreciate the flexibility from when I can go to a modified workout to meet my needs. The trainers have been very encouraging and make sure the workout is the right fit for me. Just start and don’t be discouraged if it’s hard – it will get better!